Jane has these cute Harvest themed raglan tees available today for $14.99. There are several styles and multiple colors available. 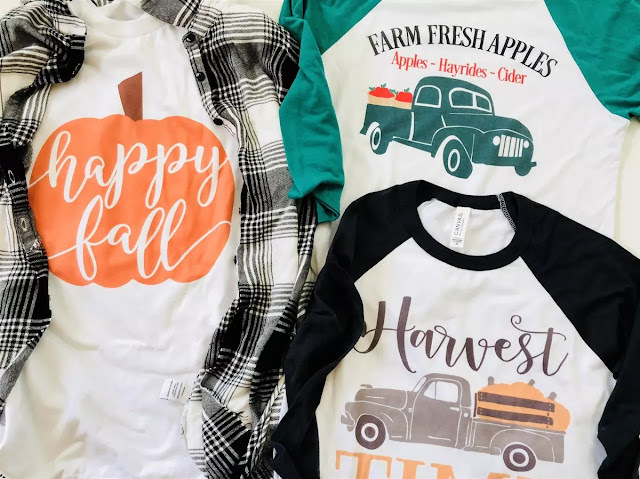 I love the farm truck with pumpkins tee for trips to the pumpkin patch this fall! Shipping runs $3.99 for your first shirt and $2.49 for each additional tee. Sale ends today, August 11th.